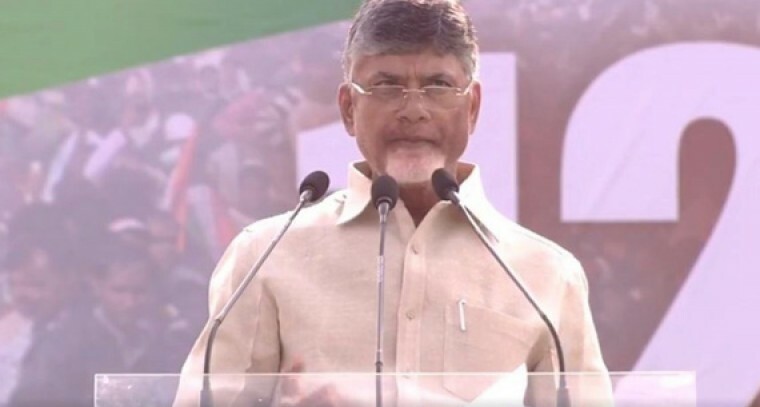 AP CM Chandrababu Naidu while participating in the anti-BJP rally in Kolkata has reminded how people of the country have given the mandate to choose Prime Minister Modi. AP CM has alleged that PM Modi has betrayed the nation. TDP Chief has reminded PM Modi's various slogans of Jana Dhan, Make In India, Digital India, Swatchcha Bharat, Mudra Loan, Good Governance, Corrupt Free Government, Bringing Black Money, Providing jobs to crores of people and questioned for not fulfilling the same. While making satirical comments at PM Modi over 'Achche Din', TDP Supremo alleged that PM Modi is publicity Prime minister, not performing Prime Minister.